I just watched the ending of The Assassination of Jesse James by the Coward Robert Ford. It has been years since I watched the entire thing, but I can remember the first time I watched the entire thing. It was at the theater, and the man behind me fell asleep. He also snored. That says something about the movie. It is not a shoot ’em up Western. It is a work of art based on the interactions of Robert Ford and Jesse James. This is not a review of the movie. It is about trivia. The narrator is my favorite part of the movie. His voice sets the tone, and he fills in some missing pieces. Heck, I am a big narrator fan. I like movies with narrators, and I like watching documentaries because they have narrators. I have always wanted to be a narrator. I wonder how people get into the line of work. Anyway, Hugh Ross narrates The Assassination of Jesse James by the Coward Robert Ford. Now, here is the trivia on top of the trivia. Ross plays the trainer in For Love of the Game, the movie where a retiring Kevin Costner pitches a perfect game. When he makes the decision to retire, he hands an autographed baseball to Ross. You know what it says? Wait, did I spoil the ending? I apologize. Anyway, Hugh Ross, the all-knowing narrator in The Assassination of Jesse James by the Coward Robert Ford, was the first one to learn that Billy Chapel was going to retire. 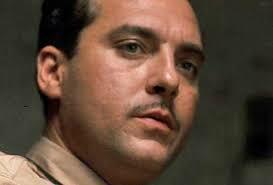 He also had a role in Costner’s Wyatt Earp. 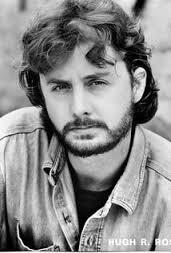 To honor Hugh Ross, here is some wisdom from a few of his movies. I think the secret old Mr. Death is holding is that it’s better for some of us over on the other side. A lot of little bottles makes a big bottle. If you give something your all it doesn’t matter if you win or lose, as long as you’ve risked everything put everything out there. You can hide things in vocabulary. Yesterday, my old college roommate sent a text saying that it has been 26 years since the greatest New Year’s Eve party of all time. It was held at our apartment, and I am certain that, in the past quarter of a century, the apartment complex has not seen anything else like it. I will not recount the specifics of the gathering. Just know that none of have forgotten any of it. After that text, I thought about how I have spent some of the other New Year’s Eves. There was the one that my future wife and I spent in a swanky private club in Nashville. There was the one at SeaWorld in Orlando, Florida. There was also the one in the downtown streets of Phoenix, Arizona with the same old college roommate. Oh yeah, there was also the one spent in a Waffle House in north Georgia. I almost forgot about the one on Waikiki Beach in Honolulu, Hawaii. There was also the one when I had the flu. 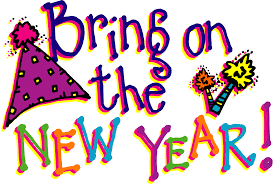 A lot of New Year’s Eves have come and gone. Some of them have been memorable. Some of the have been forgotten. Some of them have been fun. Some of the have been miserable. However, my favorite New Year’s Eve was a few night ago. My stepdaughter had a couple of friends over. We had homemade pizza and took selfies. They danced and sang. 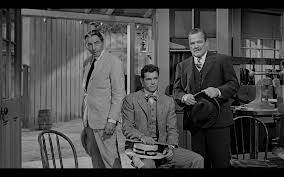 I slipped off and watched the end of The Magnificent Seven and the beginning of Wyatt Earp, but nothing could keep me away from the fun. We watched the ball drop in New York and the musical note drop in Nashville. It was a great night spent with people I love. Is there a better way to start the new year? WARNING: THIS POST MAY BE OFFENSIVE TO SOME PEOPLE! READ AT YOUR OWN RISK! A few weeks ago, my nephew and I were at a football game when he asked a simple question. Why are you wearing sandals? I know that my wife would like for me to wear loafers with shorts. However, I cannot bring myself to do it because of something that happened in my childhood. My dad had a friend who wore loafers with shorts, and I thought it was the strangest looking thing I had ever seen. It got more strange when he took them off. His feet were swollen, blistered and caked with dead skin. In my mind, I knew what was up. If he had been wearing socks, then his feet would not be destroyed. Shoes that encompass feet are meant to be worn with socks. If that was not the case, then socks would have not been invented. I like to wear socks with shoes. I also like to wear socks around the house. Rarely do I go around barefoot. Do you know why? Because that is how feet end up swollen, blistered and caked with dead skin. When we were dating, my wife really wanted me to wear loafers with shorts. She thinks it looks good. I do not agree, but I was willing to give it a try. Coincidentally, that same night we had the biggest fight ever. I acted like a fool, and I am certain that the shoes played a huge role. I did not like the look, and I definitely did not like the fact that my feet were swollen, blistered and caked with dead skin. I understand that a lot of guys like the look and the feel of wearing loafers without socks. There are a ton of guys I know who do it all of the time. I just do not know why. The other day, we were tailgating at a Tennessee Titans game, and one of the tailgaters was wearing sneakers with socks. Before going into the stadium, he took them off and slipped on loafers. One word entered my mind. His situation brings me to another point. For a while, I tried to get by with wearing some high dollar running shoes with shorts. They are super comfortable, and I wore socks that did not go above the shoe line. In my mind, this was a good compromise. However, the next time we went shopping my wife pointed out a pair of sandals. It turns out that they are a better compromise, and that is why I was wearing them to the football game. They encompass my feet, but the airiness makes the socklessness bearable. All of that is well and good, but this post is about more than socks. The entire issue about the shoes is created by the issue of wearing shorts. That is why people can see if there are socks or no socks. When it comes to shorts, I must make a confession. I like wearing long pants a lot better. This probably comes from the fact that my dad – the man I respect and admire more than any other – has never worn shorts. At least, if he has, then I have never seen it. For years, his comfort clothes of choice were khaki pants and Hushpuppy shoes – with socks. That probably shaped my opinion that men should wear long pants. As a result, I wore long pants, and they became my most comfortable clothes. While most people put on shorts or pajamas to lie around the house, I wear jeans…and socks. When I talk to my wife about the uncomfortable aspects of wearing shoes without socks, she counters with the argument that women have to wear uncomfortable shoes. In other words, we all have to sacrifice. I agree and have an idea of how men can sacrifice just like women have to sacrifice. Instead of going around without socks and wearing shorts, men should dress more manly by wearing long pants and shoes with socks. 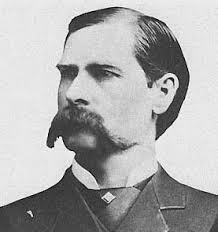 Wyatt Earp never wore loafers and shorts. 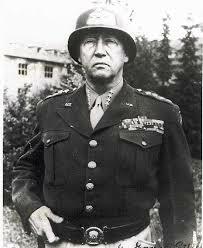 George Patton never wore loafers and shorts. 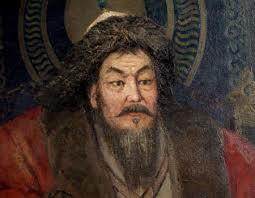 Genghis Khan never wore loafers and shorts. Anyway, the issue is solved. Women have to sacrifice for fashion, and men should do the same by wearing long pants and socks. The fact that those things are more comfortable for me has no bearing on the situation. This week, I have been telling my classes about some of the technological advances of the late 1800s. That was a time when inventors experimented in labs throughout the world to develop the next great invention. 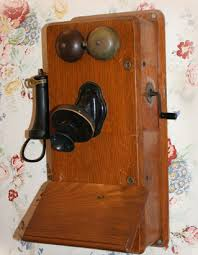 One of those, the telephone, greatly impacted communication and continues to be an integral part of our lives. Alexander Graham Bell is known by most as the inventor of the telephone. Of course, there has been debate about who invented it first, but he is the one who took the invention and made it a part of everyday life. This post is not about who invented it. Instead, it is about what we discussed in class. I took the students through the evolution of the phone. We talked about party lines and how neighbors could listen to your conversations if they were so inclined. We talked about how operators used to connect calls by sticking wires in the proper sockets. We talked about rotary dials, when people had to stick their hands in the proper holes and turn the dial. Then, they listened to it click as it moved back into place. 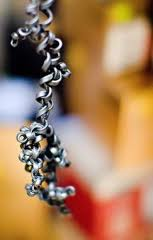 We talked about phones with long cords that became tangled and stretched. In short, we talked about things that they had never seen. The telephone was a great invention and has alter the direction of humanity. However, I noticed something as I talked about the history of the telephone. Several of the students were not listening because they were playing around with their iPhones and Droids. 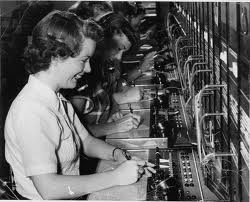 While I was going over the virtues of the telephone, they were taking part in the bad side of the telephone. 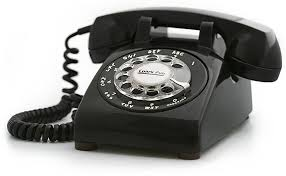 For teachers, or anyone else who needs to have the attention of a group of people, telephones are the work of Satan. They are distractions for the ones using them, and they are distractions for the rest of us. These things have become attachments that people cannot do without. On the first day of class, I tell everyone to stay off their phones. No texting. No tweeting. Put them away and do not look at them. I may as well be whistling in the wind. People cannot put down their phones. I am convinced that Steve Jobs was the most successful drug dealer in the history of the world. We cannot do without his product. Just once, I would like to go back to the old days and have a class where no phone was in the room. Students would still daydream or stare out of the window. At least there would not be the blatant act of picking up a phone and looking at it and providing physical proof that they just do not care. Ironically, I had to stop talking about the history of the telephone to tell people to get off their phones. As I walked out of class, I began to wonder what hath Bell wrought. True West magazine came out with their list of the “Top 10 True Western Towns of the Year”, and I had to see what they came up with. As it turns out, other lists were included – “True West Towns to Know” and “True West Towns to Watch”. A quick counting brought the total number of towns mentioned to 30. I decided to weed that list down to those that I have visited. I have no idea what criteria the people at True West used to compile the list, but here is a little information about the places that I know about. 1. Dodge City, Kansas is, in my opinion, the most famous of all the cattle towns. 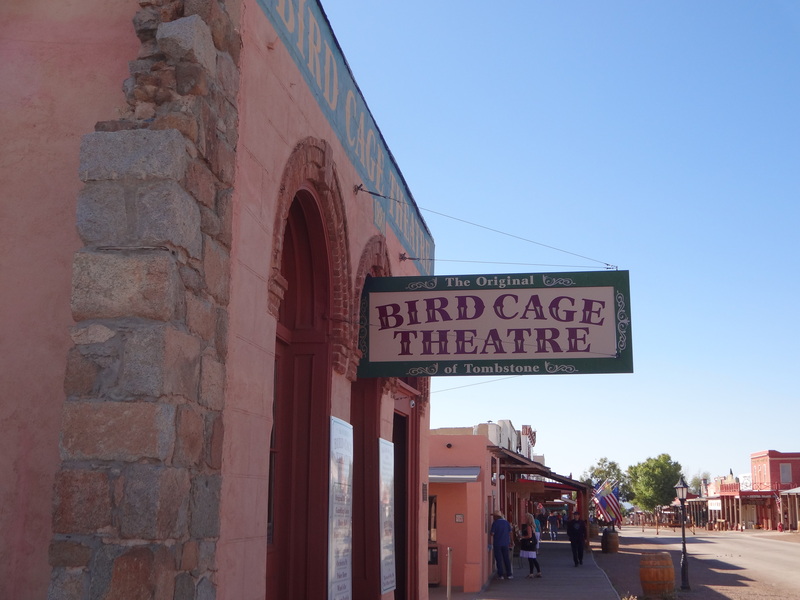 It was the epicenter of a huge industry and the home of real life lawman Wyatt Earp and fictional lawman Matt Dillon. Dodge City is still a player in the cattle industry, but I do not see it as a tourist mecca. Obviously, any lover of the Old West must go there, but they will be disappointed with the fake western town that sits on the main drag. However, the trolley tour is cool. 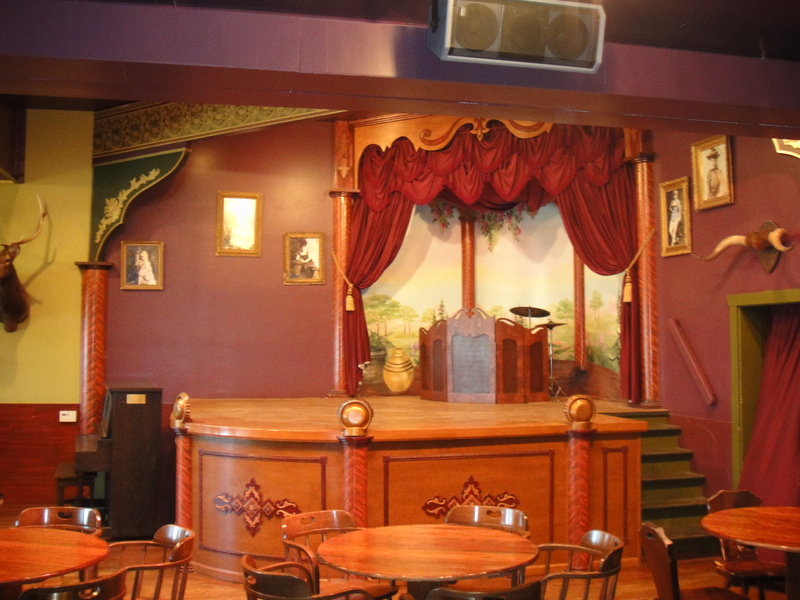 Inside a fake saloon on a fake streetfront. 2. Durango, Colorado is a cool western town that has held on to its past. Historic buildings, such as the Strater Hotel, line the streets. 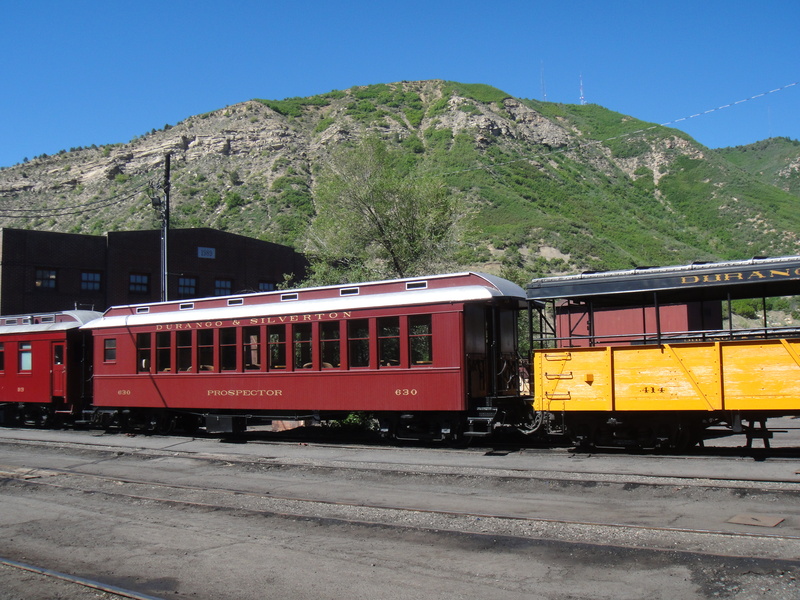 The famous train from Durango to Silverton starts its journey at one end of town. There are restaurants, bars and a bookstore with all of the great western historians. 8. Lincoln, New Mexico is a state monument that looks almost like it did when Billy the Kid was roaming around. There are all kinds of buildings and museums, but the best is the old building from which he made his famous jailbreak. Billy the Kid is the most famous of those who participated in the Lincoln County War, but I find myself more interested in John Chisum and some of the others. 9. Tombstone, Arizona which its economic peak during the 1880s and had its growth stunted when the minerals ran out. That circumstance makes it still have that feel of a frontier town. Of course, that could also be because they ripped up the concrete sidewalks and put down wooden ones. The OK Corral is cool. The Birdcage Theater is cool. However, the coolest thing is talking to Ben Traywick, the town historian. If this building could talk, then it would have some real stories to tell. 10. Lewiston, Idaho is a place that I have never been. However, I must mention it because the Cumberland University baseball team has won two national championships in Lewiston. It is a western town, but it is also a baseball mecca. There is half of the Top 10, but some interesting towns are on the other lists, as well. Prescott, Arizona is listed as one of the “True West Towns to Know” and, on the surface, looks like any other regular old town. However, a walk around its square gives you an idea of what it used to be like. The square is huge and is bustling with activity, as people venture into the historic buildings. This statue stands in front of the county courthouse. “True West Towns to Watch” lists several places that I have visited. Juneau, Alaska is the state capital and can only be entered by plane or boat. It is a small place that has a frontier and isolated quality. One of my great memories of Alaska is having a drink with my brother in one of Juneau’s saloons. Cody, Wyoming is another good western town. 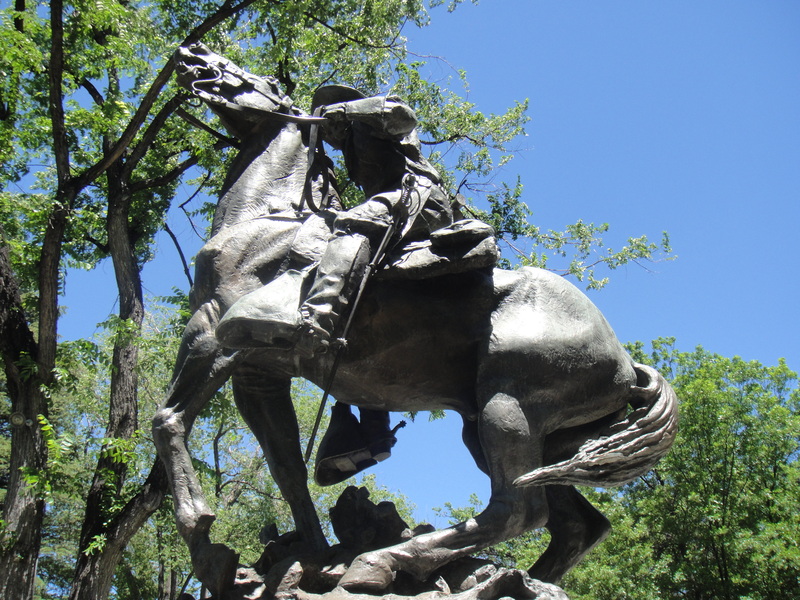 The Buffalo Bill Center of the West is one of my favorite places to visit. A few years ago they had a traveling exhibit in Nashville, and I was able to take my students. Checotah, Oklahoma sits on Interstate 40, and, frankly, I have never been in the downtown area. We have only stopped a few times for gas. Most people probably know it as the hometown of Carrie Underwood. Custer, South Dakota is one of the less famous mining camps in the Black Hills and is overshadowed by Deadwood and Sturgis. However, it is a good place to stop and look around. Also, it is named in honor of George Armstrong Custer, the man who led the gold-finding expedition into the Black Hills. Bisbee, Arizona sits several miles down the road from Tombstone and is a place that I like better. Its economic boom lasted into the 20th Century, which means it has a more modern look than other mining camps. It also has a great mining museum operated by the Smithsonian Institute. Those are the places listed by True West that I have visited. It would be interesting to read if any of you have been to these places. What are your thoughts and stories? What other towns have you visited that you think may be or should be on the lists?